Every year, thousands of car accidents occur in Pennsylvania on more than 120,000 miles of roads and highways. In 2016, there were 129,395 traffic crashes reported to the Pennsylvania Department of Transportation; of these crashes 1,188 people died and 82,971 people were injured. Based on Pennsylvania’s 2016 population, each day 355 traffic accidents occurred or approximately 15 crashes per hour. Each day, 3 people died in a crash and 227 people were injured. Fatal crashes and major injuries are devastating to victims and their families, however, the majority of Pennsylvania crashes are not fatal, and roughly half of all crashes in 2016 didn’t involve a serious injury. Knowing when and when not to get a car accident lawyer involved should be weighed carefully in Pennsylvania. The type of insurance coverage and the nature of the injury will best determine if a personal injury lawyer is needed to ensure fair and adequate compensation. Pennsylvania is known as a “choice no-fault” state, which means depending on the type of insurance carried by a crash victim, he or she may not be able to seek further compensation past the limits of his or her no-fault policy. Pennsylvania’s unique insurance system allows drivers to choose between a “full tort” policy and “limited tort” car insurance. For example, a driver may choose to save on monthly premiums by choosing limited tort insurance, which does not allow victims to recover non-economic damages like pain and suffering and loss of consortium (if the victim is married). Pennsylvania accident victims covered by limited tort insurance policies do not share the same unlimited right to sue for non-economic damages. Depending on the injury, this may limit a victim’s ability to collect certain types of compensation even with a personal injury attorney. There is an exception to this rule: if a victim is able to prove they suffered a serious injury or if the circumstance of their accident meets a specific exception, he or she may still be able to collect non-economic damages like pain and suffering. In this case, the victims would almost certainly need to contact a personal injury attorney. Conversely, a crash victim who carries full tort insurance has no compensation restrictions, so regardless of injury he or she can seek compensation for all damages. 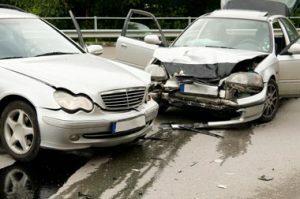 While the type of insurance can affect what compensation is available, the injury itself will inform whether a crash victim should seek professional representation after a car accident. When an accident results in injury, it’s generally a good idea to get a personal injury lawyer involved. This can be tricky since injuries don’t always appear right away, especially in cases involving concussion or traumatic brain injury (TBI), and insurance companies like to downplay minor injuries even before medical professionals have had a chance to weigh in. Regardless of insurance, people injured in a Pennsylvania car accident deserve fair compensation for any loss resulting from another driver’s negligent driving. This isn’t always easy to do when drivers opt-out of full tort coverage, or in cases where fault is being argued on both sides. Complicated claims are often best left to a professional. 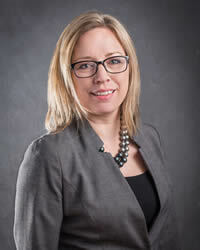 Settlements typically benefit from legal advocacy as well. With an experienced attorney on the case, victims don’t have to worry about what is and what is not a fair offer. Instead, victims and families can focus on recovery without burden. It’s wise to contact an attorney following most accidents, but it’s not necessary for minor collisions that don’t result in injury or little property damage. All Pennsylvania drivers are required to carry insurance minimums to legally operate a vehicle. In many cases, a driver’s own insurance will be adequate coverage. 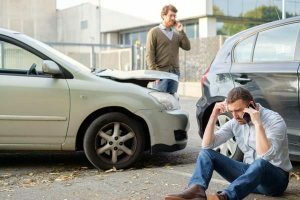 This is a rough approximation of what to look for after a minor car accident; however, this doesn’t mean a victim shouldn’t call an attorney if they feel the case is complicated and would benefit from legal review. Better safe than sorry, right? If you or someone you care about was injured in a Pennsylvania car accident call Hagelgans & Veronis, LLP at 877-454-8529, or tell us about the accident online to get started now.